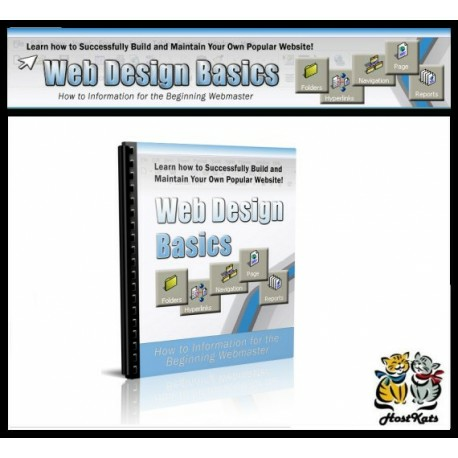 Beginning Webmasters Isn’t It about Time You LearnValuable Information on Basic Web Design Concepts, So That You Can Build Your Own Popular Website? Inside every issue of the “Web Design Basics”Newsletter you’ll learn valuable information thatwill help you learn exactly how to build and maintain your own popular website! -How to practice good design techniques, so that your website will easily attract all the visitors you want. -Simple techniques that you can use to create a sitemap, and why it’s important to include one in your web design plans. -Why it’s important to get to know your audience before you begin building your website and how it can make or break your success. -How to create search engine friendly pages, so that your website will rank well and get all the traffic that it deserves. -Simple, effective strategies that will help you keep your visitors coming back again and again.